ELI is a training company that helps organizations solve the problem of bad behavior in the workplace. This means more than just preventing discrimination and harassment lawsuits. It’s about addressing the bigger costs of lost productivity, turnover, and brand damage caused by uncivil behavior. Our award-winning training experiences are based around real-life scenarios and are backed by our deep legal expertise and a proactive, high-touch approach. 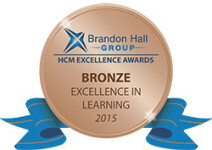 It’s how we’ve helped many of the world’s best-known brands build a workplace that works. It all started when ELI founder Stephen Paskoff saw that companies often waited until a costly incident had occurred before dealing with many of their labor and employment issues. As a law firm partner and EEOC trial attorney, he came to believe the amount of time, money, and energy spent on legal battles that could have been avoided in the first place. Convinced this problem could be solved, he set out to build a unique learning experience that would finally address the underlying causes of bad behavior in the workplace. What started as one lawyer’s mission is now a global training resource for civil behavior in the workplace. 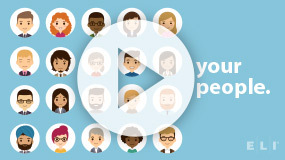 Today, more than two million people worldwide have experienced ELI training and over 8,000 instructors have been trained in ELI’s award-winning approach. 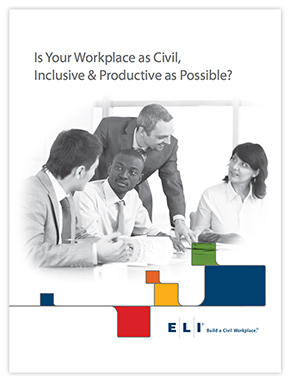 Many leading organizations and best-known brands (such as Coke, Verizon, and the U.S. Forest Service) rely on ELI to help them build a more civil, inclusive, and productive workplace.